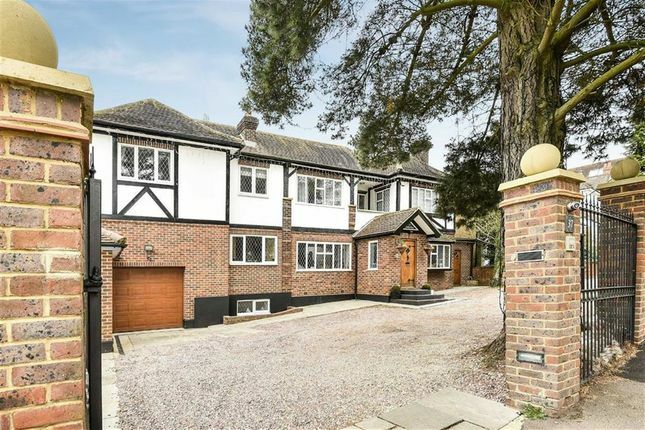 A substantial detached family home set behind a gated carriage driveway. 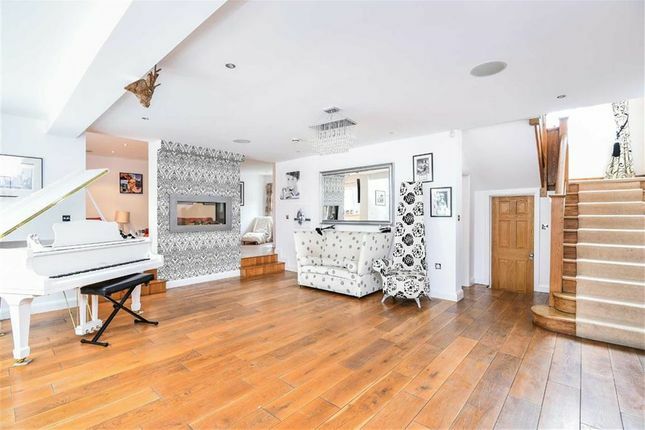 The property has been extended to offer flexible family living accommodation. 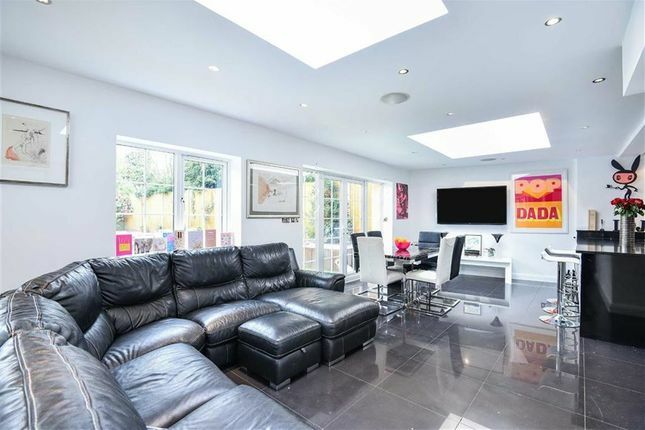 As you enter the property there is a large reception hall that leads to a sitting room and further large reception room ideal for entertaining. 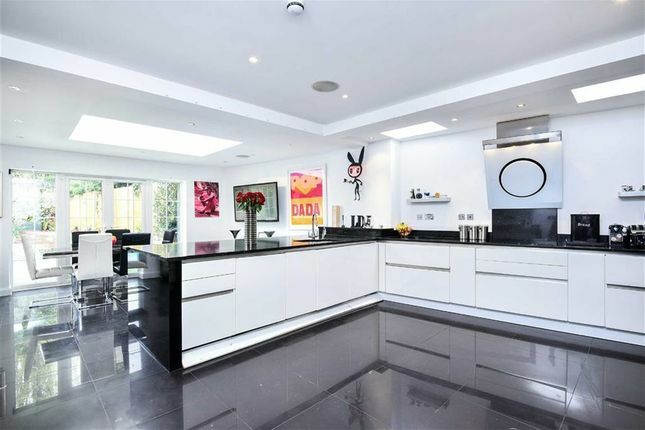 There is a large modern fitted yet contemporary kitchen with a range of integrated appliances that opens onto a dining area and a further family living area leading onto the terrace and outdoor swimming pool. 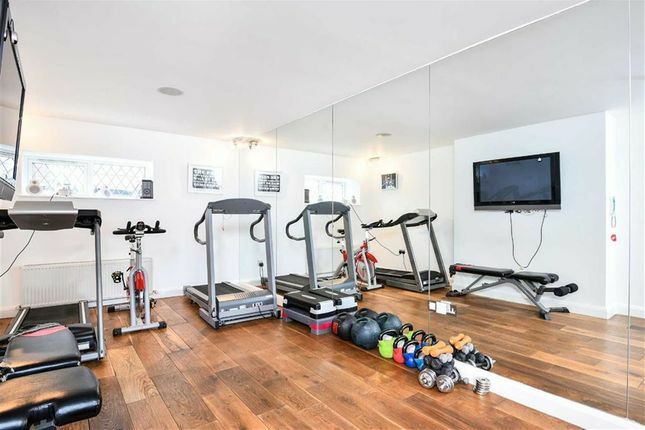 The family room then leads to a conservatory which has direct access to the garden and a purpose built gym, which could also be used as a home office should one require. 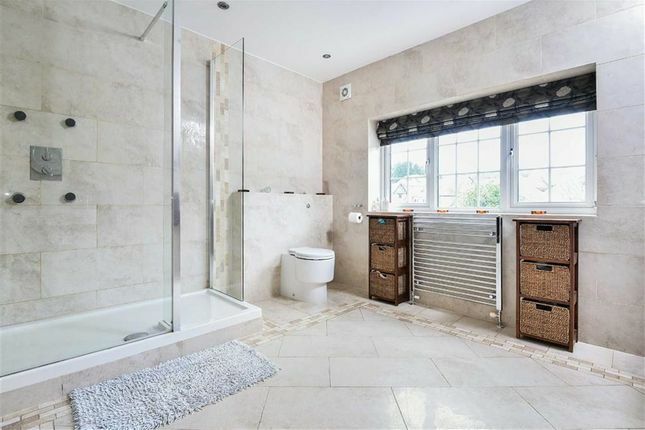 The first floor of this fine home offers spacious accommodation with four double bedrooms and a sumptuous family bathroom. 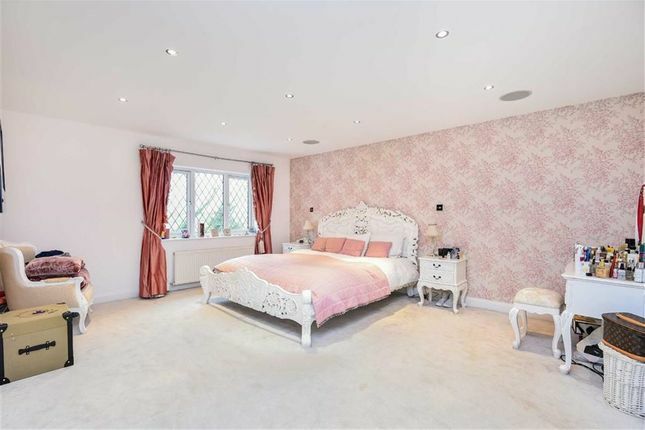 The second bedroom benefits from built in wardrobes and an en suite shower room. 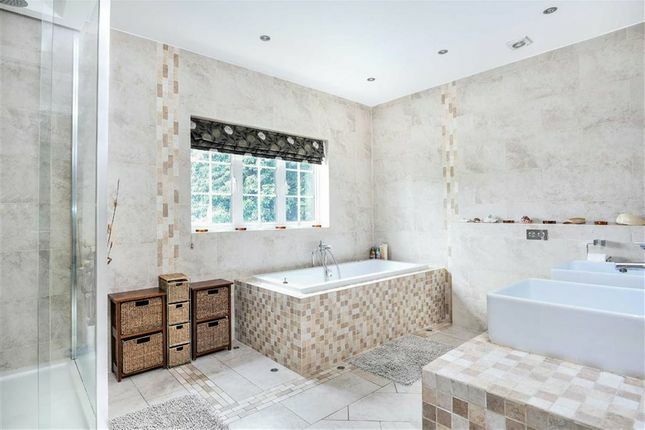 The master suite is truly spacious with a large en suite shower room with his and hers sinks, dressing room and sitting area that leads to a balcony overlooking the terrace garden and pool. To finish off the master suite there is a spiral staircase leading to a further bespoke dressing room. To the second floor there are a further two double bedrooms and shower room with the added benefit of access to the eaves for storage. 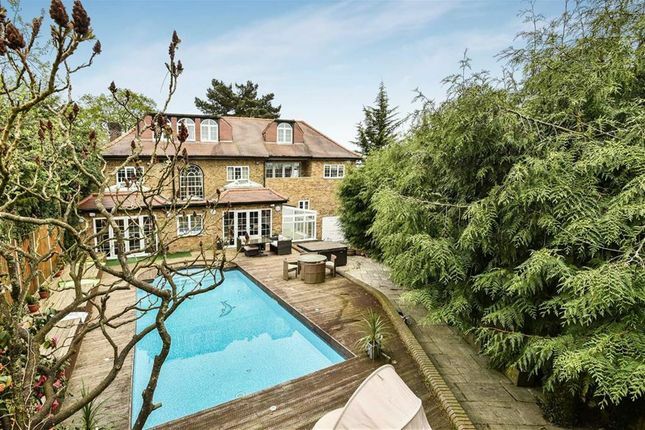 The rear garden is vast and is laid out with the pool and entertaining area being directly off the rear of the house with decking surround. 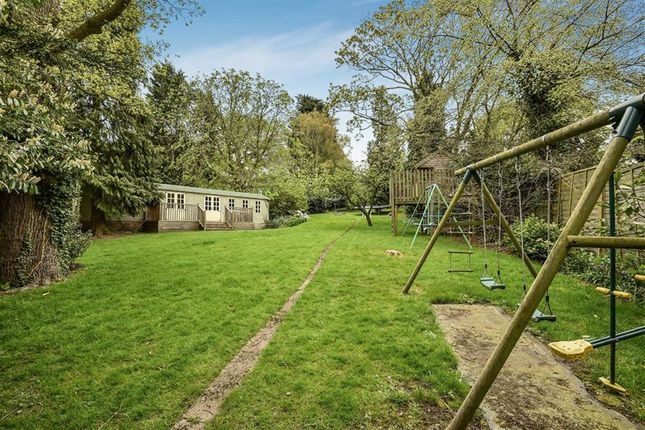 When you walk to the rear of the garden it opens up to substantial lawned area with mature trees and an outbuilding which is currently used as a games area. The front of the property has a gated carriage driveway allowing parking for multiple cars, leading to a large double detached garage. 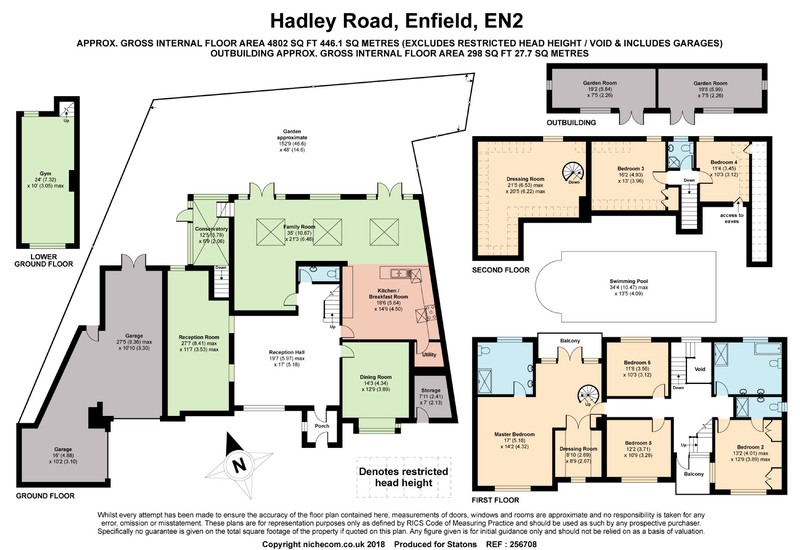 Location:- The property is situated withing easy reach of Enfield Town with its multiple shops, restaurants and mainline stations. Trent Country Park is close at hand and the M25 is a short drive away. 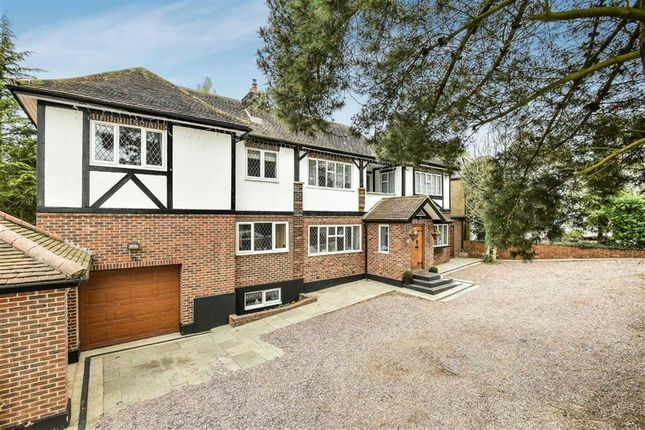 For more properties for sale in Hadley Wood please call our Hadley Wood team .